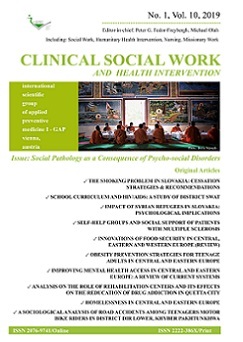 Allow me to introduce a new expert journal – Clinical Social Work and Health Intervention. We would like to offer you an opportunity to contribute to its content as we would like to aspire to create a collection of real experiences of Social Workers, Doctors, Missionaries, Teachers, etc. 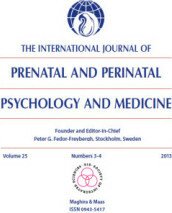 CWS Journal is published by the International Scientific Group of Applied Preventive Medicine I-GAP in Vienna, Austria. The journal is published quartely from the year 2016 and only in English language as it is published in various foreign countries. We prefer to use the term ‘Clinical Social Work’ rather than Social work even though it is less common. In the profession of Clinical Social Work, there clearly is some tension coming from unclear definitions of competence of Social Workers and their role in the lives of theirs clients; the position of Social Work in the structures of scientific disciplines especially in cases where people declare themselves to be professionals even though they have no professional educational background. These are only few of the topics we like to discuss in the CWS Journal. All articles must be in accordance with the current language standards in English, current ISO and the law on copyrights and rights related to copyrights. Your contributions are to be sent via e-mail (addressed to: cswjournal@gmail.com) as an attachment or on a CD via regular postal service. In both cases written and saved in MS Word (no older version than year 2000). OBJECTIVE: The aim of our research was to determine the effect of Speleotherapy on the quality of life, anxiety and depression in patients with COPD. METHODS: They were evaluated on the basis of the quality of life (SGRQ), Beck and Zung, the Spirometric Test (FEV1 and FEV1/FVC) and the 6-minute Walk Test. RESULTS: After the treatment, concerning the patients of the experimental group we recorded that within the evaluation of quality of life there was significant improvement in symptoms (p<0.05). There was also statistically significant improvement in anxiety and the six-minute Walk Test (p<0.05). CONCLUSION: The pilot study shows that spa treatment along with Speleotherapy improves the quality of life and anxiety in patients with COPD. However, there is a need for prolonged study with more patients in order to demonstrate the effectiveness of this therapy. Each article must be an original never published before. When using references, parts of other articles or publications it is inevitable to quote them and provide information about the source. We reserve the right to formally edit and reduce the text if needed. Academic articles undergo an anonymous critique. Each author will receive a prior statement of publishing his/her article. Reference styles writing: “name and year”. When writing a review it is necessary to attach a copy of the cover of the book. Patients / clients have a right to privacy that should not be infringed without informed consent. Identifying information, including patients’ names, initials, or hospital numbers, should not be published in written descriptions, photographs, and pedigrees unless the information is essential for scientific purposes and the patient (or parent or guardian) gives written informed consent for publication. Informed consent for this purpose requires that a patient who is identifiable be shown the manuscript to be published. Authors should identify Individuals who provide writing assistance and disclose the funding source for this assistance.